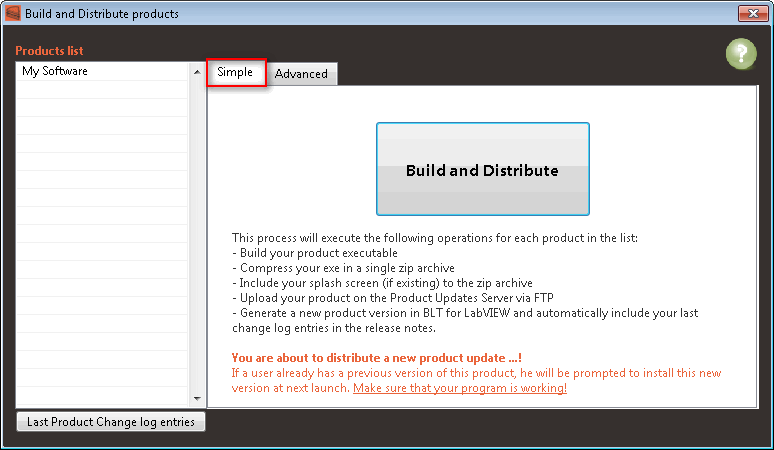 oGenerate a new product version in BLT with your last change log entries as release notes. This way, your end-users will be notified that an update is available and will be able to download it and install it automatically. 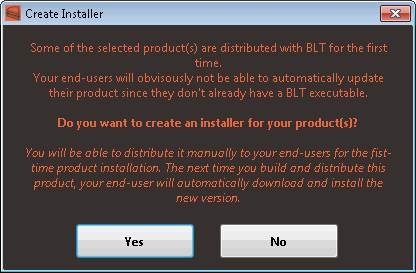 oIf this is the first version of the product distributed with BLT, you will be prompted to create an installer for your product. This installer allows you to distribute your product to end-users who don't already have it. oIf you create an installer, you can also include some NI Run-Time Engines with your product so your end-users will directly get everything for your product to work.